Go back to prehistoric time when dinosaurs roamed the Earth. It is amazing to take the family on a Jurassic tour, a family-friendly exhibition that offers children plenty of dinosaur-related activities. Animatronic dinosaur exhibitions always present obsolete creatures in a fashion way. This family-friendly activity caters to the education of children and adults of prehistoric creatures with fantastic visual realism. In the primeval forest backdrop, towering tyrannosaurus, adjacent carnivores and herbivores are screeching, roaring and subtly moving around. Dusk and dramatic lighting also makes prehistoric scenes more realistic. It is interesting to learn in such an interactive and entertaining environment! The problem for children learning about dinosaurs is that they have never really experienced it. And through animatronic dinosaurs, they will have close touch and interaction with dinosaurs, which will make them more deeply impressed. A large number of Dinosaur Animatronics are made in China. When making these creatures, scaly skin, bright eyes and sharp teeth are all details that can not be ignored. In the dinosaur exhibition, visitors can not only watch the dinosaurs carefully, and children can ride on the back of the miniature dinosaurs as a dinosaur warrior. T-rex and Triceratops are the children’s favorite in many exhibitions. In addition, parents and children can explore and excavate fossils in exhibitions and make intimate contact with dinosaurs through virtual reality equipment. Some dinosaur shows also offer inflatable bounce rooms that also attract a large number of children of all ages. That bring a lot of fun for kids. 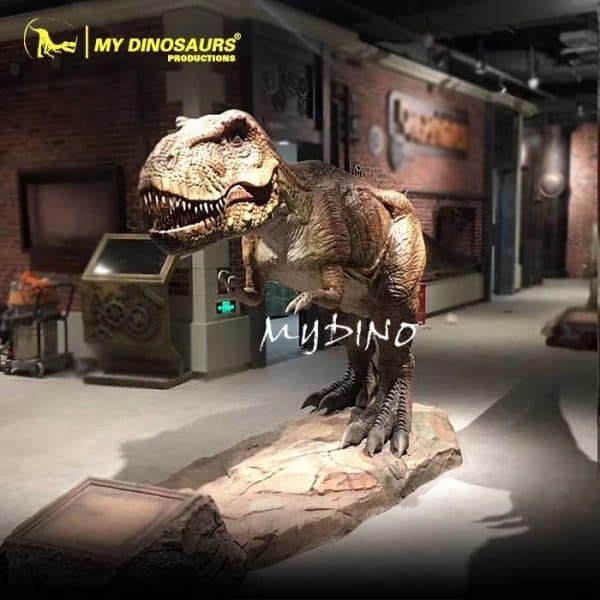 This entry was posted in Dinosaur Attractions, Dinosaur Exhibition and tagged animatronic dinosaur exhibition, dinosaur animatronics, travelling dinosaur show, walk with dinosaur.